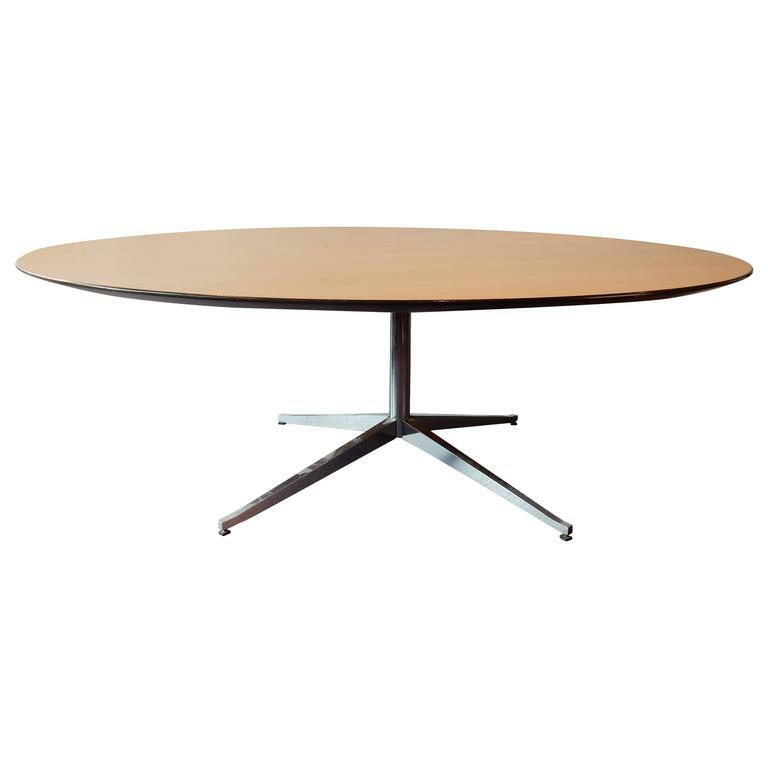 Plus size round dining or conference table by Florence Knoll for Knoll. The table, with a Ø of 200cm, has a beech veneered top with black lacquered bevelled edge. 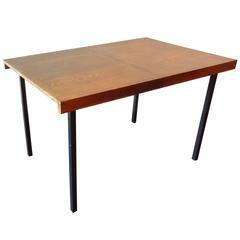 The table is in a very good and solid condition with signs of age and use. The top shows some dents and scratches. Some small restoration has been done to a small veneer part. The chrome metal base is very solid. This table is ready for many more years of fancy dinners and/or meetings. This table is likely to be from a later production. signs of age and use to the veneer top and black lacquer of the bevelled edge. Beautiful grain Brazilian rosewood 96" oval top on chrome steal base.